The Synthesizer Sympathizer: Korg MS-20 Mini Information and Video blowout! So many people have been waiting for this day, and for it to be official-- the Mini MS-20 is finally a reality, with an astounding price of $600. By now you've probably read the full details on Korg's site, but there's still alot to be said about this instrument. It's been such a long time coming-- the dreams of everyone who's bought the Monotron series. The MMS-20 is the perfect addition to the family. Sit back, and enjoy some of the videos of the new beast. 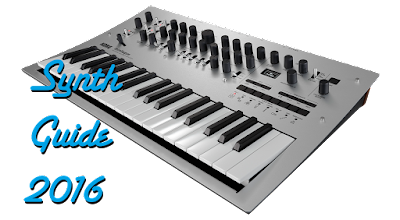 "WINTER NAMM, ANAHEIM, CALIFORNIA, January 24th, 2013 - Korg's MS-20 monophonic synthesizer, first introduced in 1978, is still coveted to this day for its thick, robust sound, powerful, iconic analog filter, and versatile patching options. It has now been reborn as the new MS-20 mini. The same engineers who developed the original MS-20 have perfectly reproduced it in a body that's been shrunk to 86% of the original size, yet retains the distinctive look of the original. 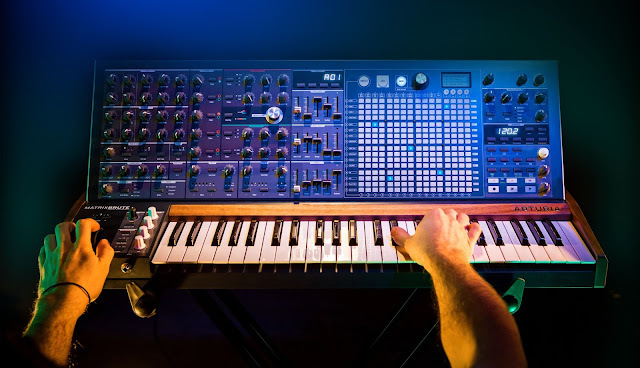 The MS-20 Mini offers the same distinctive synthesis that made the original MS-20 popular: two oscillators with ring modulation, and envelope generators with delay and hold. The VCA (Voltage Controlled Amp) maintains the original basic design, but it's been modified to produce less noise. Particular attention has also been paid to delivering smooth parameter adjustments, which are a distinctive feature of analog synthesizers. Special care was also taken to completely reproduce the original specifications of the MS-20, to deliver the same powerful sound, from deep, growling basses to crisp, rounded leads. One of the most well-known - and still most sought after - characteristics of the original MS-20 was its powerful filters, which provided both high-pass and low-pass with peak/resonance. Maximizing the peak/resonance would cause the filter to self-oscillate; producing a distinctive and dramatic tonal change that was acclaimed as inimitable, and was used many years later on Korg's monotron and monotribe. The filter circuit was changed mid-way through the production lifecycle of the MS-20; the MS-20 mini uses the earlier filter, which was felt to be superior due to its more radical sound. To make it even more approachable, the MS-20 mini has been shrunk to 86% of the size of the original, with meticulous care taken to accurately reproduce the knob design and the printing. The patch cables have been changed from 1/4" phone plugs to mini-plugs, and the newly-designed keyboard is 86% of the original size as well. For added authenticity, the MS-20 mini packaging replicates much of the original. Also included are the original MS-20 owner's manual and settings chart. The Korg MS-20 Mini will be available April 2013 for a U.S. Street price of $599.00 Additional product information is available at Korg.com."